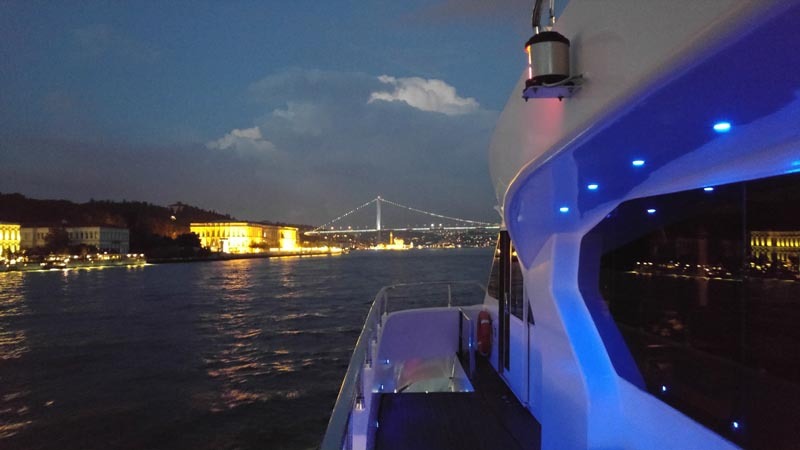 Why celebrating 2019 New Year Eve in Istanbul? Because it’s the only way to get in 2019 on a wonderful boat and on the only straight dividing two continents in the world. 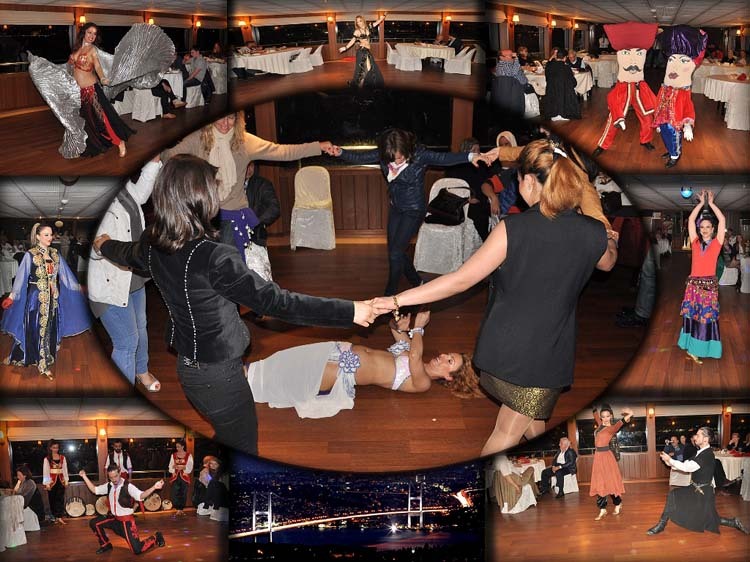 Just feel the spirit of Istanbul Bosphorus in a special eve comes only once a year. 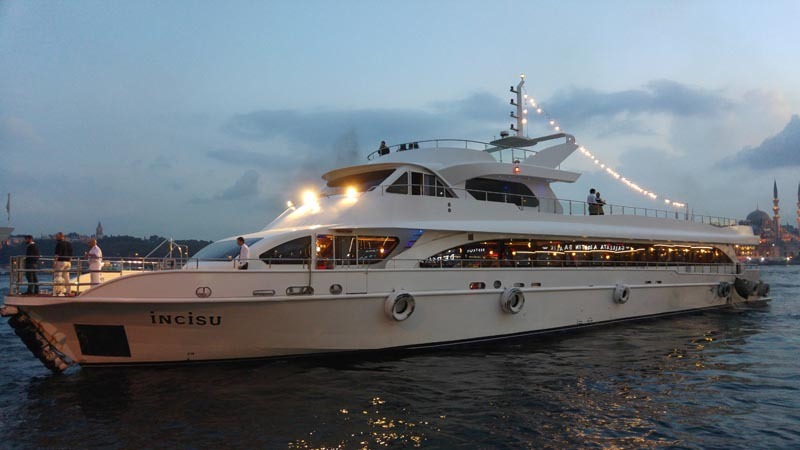 We organize our new year dinner cruise with the most beautiful boat in Istanbul. Our boat's name is Incisu. 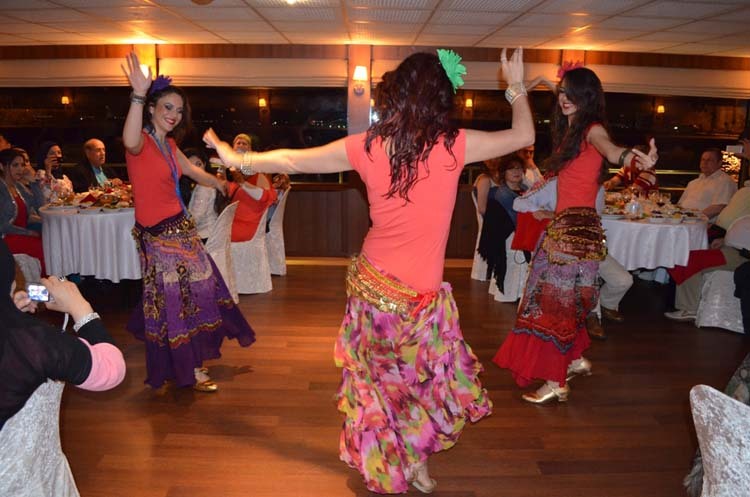 Turkish Night, Dinner, Unlimited Local Drinks, Champaign, Traditional Turkish Music, Belly Dancer Show, Fireworks around the city, Lights on the Bosphorus bridge, Transfer to hotels within city (European side only). The meeting point will be in Kabatas tram station at 20:30. 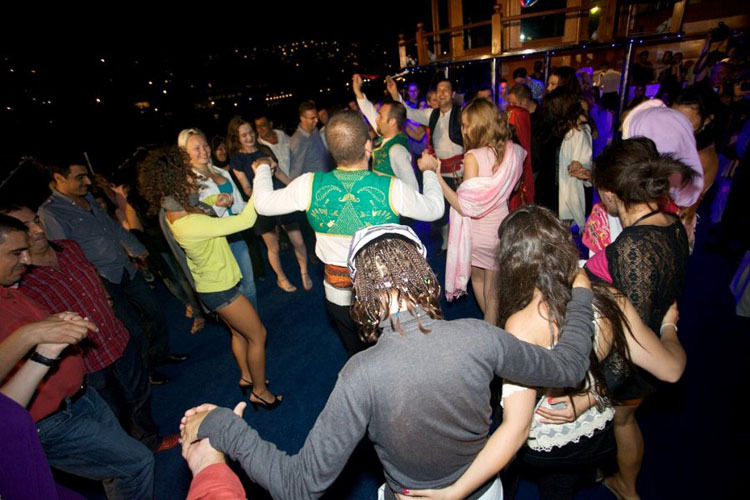 Bosphorus New Year Party and Dinner Cruise should not be missed. We provide the return transfers to your hotel at around 02:30. - Anatolian Folk Dance Show. - Welcome cocktail & Aperitif. - Cold Starters: Salmon, Stuffed green pepper with olive oil, celery salad, american salad, anchovy fish, white bean in vinegar sauce, white cheese, potato salad, boulgour salad, tzatziki, cherry tomato and cucumber slices. - Hot starter: Incisu patty stuffed with turkish dried meat. - Main Course: Chesnut rice, baked turkey with garniture. - Dessert: Mixed fruit salad with ice cream served in biscuit cups. - Unlimited local drinks: Raki, Beer, red and white wine, soft drinks etc. - After midnight: Champagne service with caviar snacks and midnight soup. 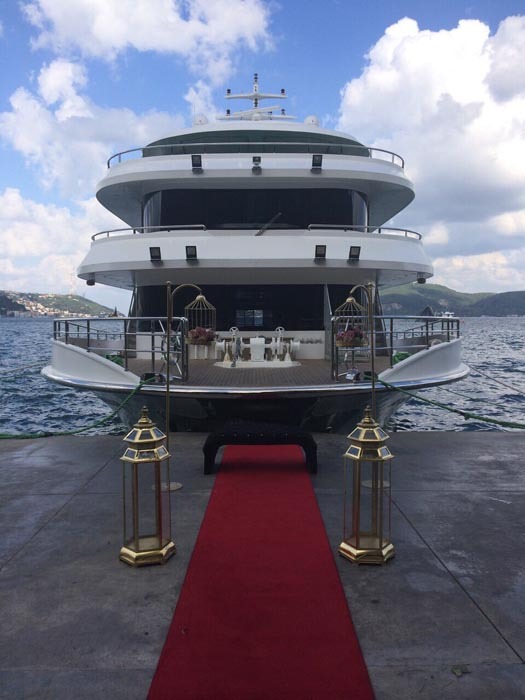 Our boat was built in 2010 in accordance with international quality and safety standards. Incisu have been built in the control of the Turkish Lloyd. The materials used in the exterior and interior decoration have been supplying world-class products and first-class workmanship used. Incisu offers you a minimum wobble, vibration and engine noise as well. 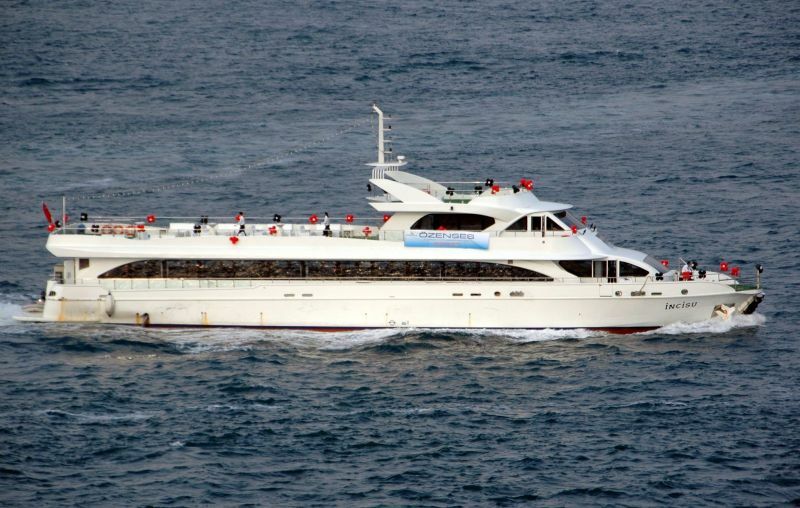 Our boat is 42 m length, 9.90 widths and has 500 people carrying capacity with in dining room and terrace. 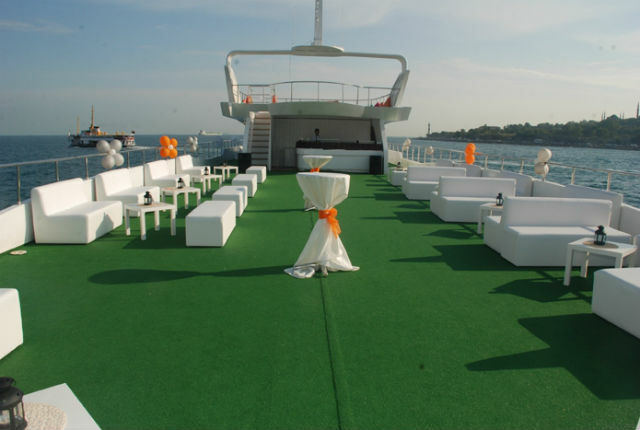 Incisu has maximum of 200 guest’s capacity with a round table layout and a maximum of 300 guest’s capacity with a rectangular tables. Incisu has a top open terrace as well. 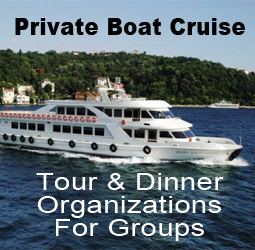 Boat has central air conditioning, heating, cooling, baby care unit, stylish men and women’s WC. Also available private rooms for guests to use as a special occasions (dressing, maintenance, etc.). Our boat has all the equipment as radio, radar, and underwater display systems, fire safety and security systems for your safety. 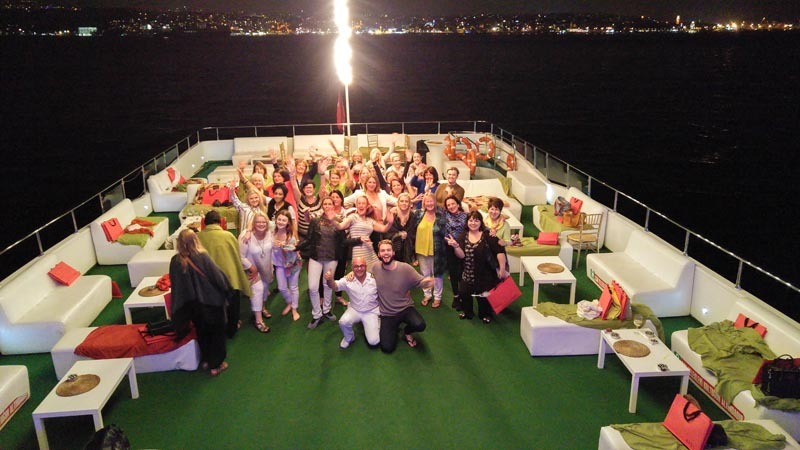 We do our organization with the most beautiful boat of the Bosphorus. Check the photos to see our boat. Price: 125 € - Per Person on regular shared table. 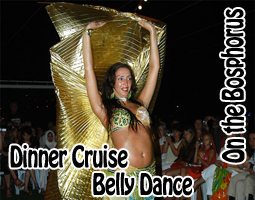 Price: 160 € - Per Person on private table. 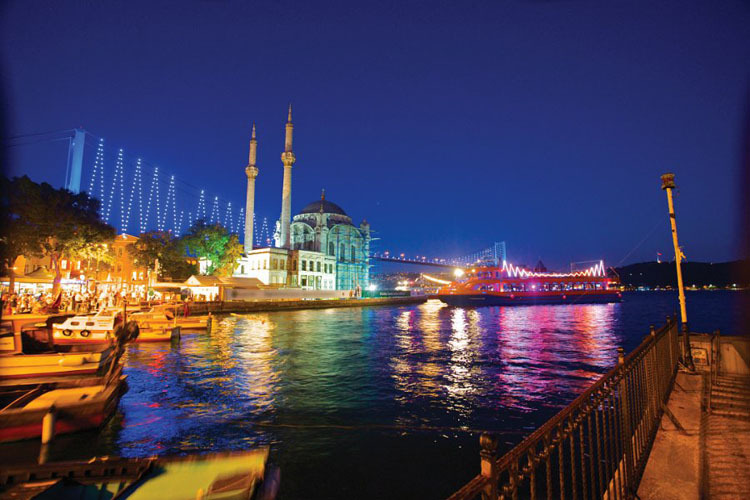 - Tour programme as in the itinerary and 5 hours bosphorus Cruise. - The arrival transfer to the boat. Due to heavy traffic jam in the new year eve; as Fmk Tour we recommend you to use public transportations or taxi for the arrival to our boat, so you can be able to start your new year eve on the boat instead of waiting at the hotel's lobby or on traffic jam due the late arrival transfer vehicles. Please find our meeting point direction information as below as below. You should be at the Kabatas Tram Station which is the terminal station by using tram from Sultanahmet, Laleli, Beyazit or by using Funicular from Taksim Sq. Then walk straight Kabatas Boat Station and you will see Incisu Boat at the back of PO gas station. 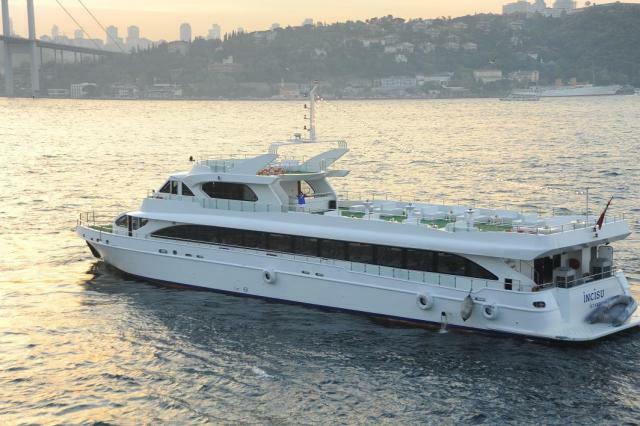 In case of any information do not hesitate to contact with Mr. Bertan from +90533 712 29 78 or Mr Fatih from +90531 552 38 42 who will be on the boat for the operation.